However, the organising costs are continuing to rise each year, jeopardising the financial side of the Rally. This has created a considerable overall financial loss, which has seriously impacted our reserve funds from previous year’s Events. Also, we cannot see any signs of this situation improving in the near future, which would obviously impact entry levels in 2018. This, together with some possible logistical restrictions on Stage usage in 2018, and some complications on public road closures for competitive use in the area. This will need to be resolved during the coming year, including arranging suitable insurance cover. 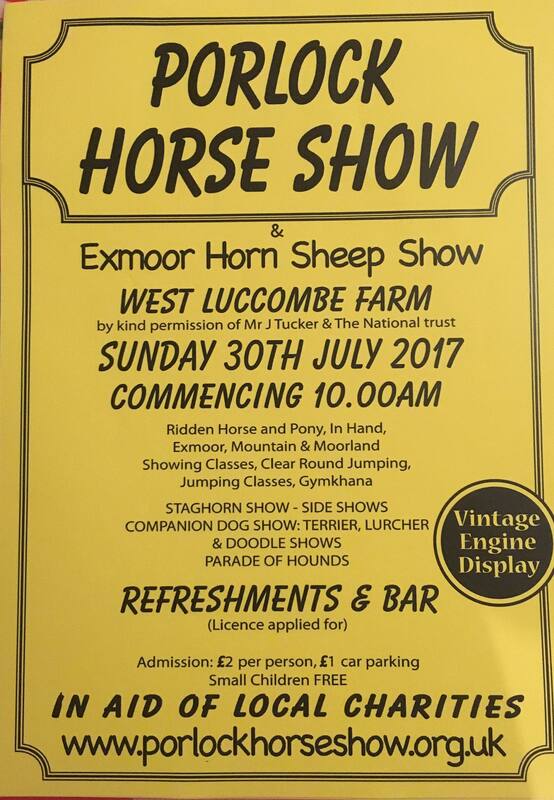 We are sure the businesses in the Minehead area and within the Exmoor National Park will be disappointed to hear this news, as they do support the Competitors and Organisers and we, and the Competitors, do generate a significant income into the local economy. The Organising Team plan to return in 2019 with our 40th Anniversary Somerset Stages Rally, again using the Forestry Commission gravel roads, the Porlock Toll road, and a section of closed public road, if at all possible. When the 2018 championships and rule changes have all been confirmed, we will announce our plans for 2019. 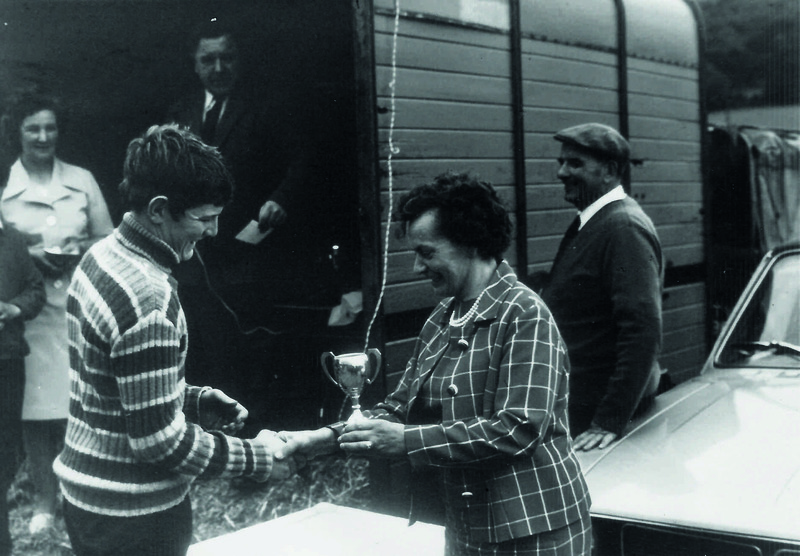 In the meantime we would like to thank all those who have supported the event since its inception in 1977. PHOTO: The 2016 event winner Luke Francis / John H Roberts in their Evo9 – courtesy Gasmark Media. Earlier this month 50 pupils from Dulverton Junior School took part in a Junior Hydraulic Motor Engineer Competition organised jointly by the school and Dulverton Weir & Leat Conservation Trust. In the weeks before the event the pupils worked in groups to construct water wheels in the classroom as part of their Technology curriculum. Carrying the wheels through the town, they placed them in the moving waters of the leat (mill stream) to find out whether their designs worked and whether further improvements had to be made on site. Somerset Wildlife Trust is joining the celebration of marine life that will be taking place across the UK from Saturday 29 July to Sunday 13 August, as part of National Marine Week, to inspire everyone to show a little love for the county’s little-known, unique marine wildlife and habitats. Somerset has nearly 50 miles of coastline which includes a variety of habitats such as sand dunes, rocky shores, tidal estuaries and the longest continual stretch of coastal deciduous woodland in England – all home to a wealth of captivating species, world class geology and fascinating history and heritage. National Marine Week is the perfect opportunity for families to get out exploring some of Somerset’s natural coastal wonders. Try the rocky shore around Brean Down where you can find Beadlet Anemones, Green Shore Crabs, Common Periwinkles and Limpets, and at Minehead beach at low tide you may see starfish like the Common Sunstar and Common Brittlestar! In August look out for the small wading birds, Sanderling and Dunlin, as they start to arrive on our beaches having made their journey from the Arctic in search of warmer climes. National Marine Week is not only a chance to get out and about and appreciate the beautiful species that can be found locally, but to raise awareness of the wildlife that is under threat and what can be done to protect it for the future. What can you do to help Somerset’s Coast? Somerset’s coast is rich in wildlife, from the seriously cute Ringed Plover chicks, to the debatably cuddly Sea Slug, and the bouncy Bouy Barnacles in Minehead to the very delicate Moon Jellyfish at Steart Marshes. There is so much to discover, love and protect along our coast. Why not get involved this National Marine Week? Perhaps you can do a volunteer survey, or support the Wildlife Trust’s coastal appeal that is funding their survey work? You can also join in one of our many events that are happening over August. From a Beach Clean to looking for Porpoise, to scoring the coastline to see what you can find on our ‘Rockpool Ramble’ or a ‘Seashore Safari’ there is something for all the family to enjoy. For more details on these events and more, please go to www.somersetwildlife.org/events . Don’t forget to tweet @SomersetWT, with what you find. Celebrity chef Michael Caines MBE, who visited Calvert Trust Exmoor earlier this month, has agreed to become an Ambassador for the charity, calling the centre “one of North Devon’s ‘hidden gems”. Born and raised in Exeter, Michael lost his right arm in a road accident in 1994, but has risen to the top of his profession, being named AA’s Chef of the Year in 2007 and holding two Michelin stars for 18 consecutive years. Michael describes the accident as a defining part of his life, alongside the day he was adopted in terms of importance. Michael, who recently added The Coach House at Kentisbury Grange to his portfolio and the newly opened Lympstone Manor near Exeter, explained that the local community can play its part in helping the guests that stay at Calvert Trust Exmoor: “The community has a big role to play, making sure that the individuals who come here, for whatever reason, whatever background or circumstances, whatever their individual story is, get the opportunity to live a thorough and fulfilling life – one that challenges them and gives them the qualities of life that we all want: ‘happiness.’ That’s the one key quality that I think is vital. One of the UK’s most celebrated chefs, Michael concluded by saying that every day he gets now is “a gift”. “I could have died at 25, but I didn’t. Life is short enough anyway, and given those challenges that we have, they make us a stronger and a better person. If you’ve been given opportunity to continue your life and drive forward with the help and support of others, then your potential can be realised too. 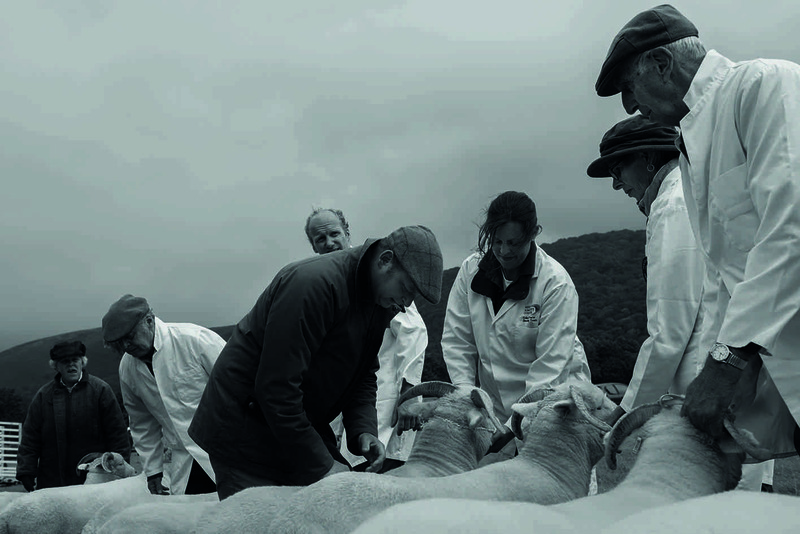 To find out more about how you can get involved in the work of Calvert Trust Exmoor, visit the website www.calvert-trust.org.uk/support or call 01598 763221. HMP Kirkham prison officer Andy Maxfield from Inskip in Lancashire is finalising plans to set a brand-new Guinness World Record by driving from John O’Groats to Land’s End on a John Deere lawn tractor, whilst raising money for the charity, Alzheimer’s Society. The ‘Driving the Distance for Dementia’ Challenge will set off from John O’Groats at 8am on Tuesday 25 July 2017; the signposted distance to Land’s End is 874 miles. The planned route expects them to arrive in the South West on Saturday, passing Bristol around midday, then on to Taunton and Crediton, reaching Okehampton early Sunday morning then past Redruth, Penzance and finally their end destination Land’s End. This distance has not been attempted before on an unmodified lawn tractor, but Andy is still hoping to complete the distance in less than five days on his own. He has recently been promoting the challenge at shows and events in the north of England, starting with a visit to his beloved Blackburn Rovers FC – see the club’s video at www.youtube.com/watch?v=y2hyoHbP5j8&feature=youtu.be – and including this month’s Great Yorkshire Show. Andy Maxfield will be using a 24hp X750 John Deere lawn tractor and accompanied by support vehicles provided by John Deere. The X750 has power steering, cruise control and a top road speed of around 10mph. Andy will also be supported by his wife Karen and their two daughters Kathryn and Kaitlyn. Andy’s 77-year-old father James and James’ mother Theresa were both diagnosed with dementia, which prompted Andy to start seriously fundraising for the charity in January this year. “Initially I had the idea of a fundraising ball to raise money for Alzheimer’s Society, which will be held on Saturday 9 December at Preston Masonic Hall,” he said. John Deere Limited, turf division manager Chris Meacock, said: “Our UK and Ireland employees select a specific charity each year to support with a variety of fundraising activities. By coincidence we had chosen Alzheimer’s Society when we were approached by Andy Maxfield to help with the Guinness World Record attempt, so it was very good timing on his part! Andy Maxfield’s charity ball has a JustGiving website page for donations at www.justgiving.com/andrew-maxfield, with the total already standing at over £2,200 in early July, and donations can also be made by texting MAXF80 £3 to 70070. More information on the ball and the challenge are available at www.facebook.com/ForgetMeNotPreston, and by following Andy on Twitter @AndyMax69. Watchet’s ambitions to have a state-of-the-art Bowling Club are closer to being realised thanks to a £50,500 grant from a Leisure Fund secured from the Hinkley Point C project which is administered by West Somerset Council. Watchet Bowling Club is keen to transform its facilities and provide a high-quality community venue for the area and the money will go towards the first phase of the project to replace old garages with a new indoor bowling rink. The high-achieving club has a real track record: the women players reached the semi-finals of two trophies last season, while the men won the league and also swept the board in county competitions. A new indoor rink will give the club the space for county-level competitions and make it possible for games to be played simultaneously, rather than have to wait for the one rink to become available. The club has now gained planning consent for this project and is hoping the community will also support the initiative through the newly launched Somerset West Lottery. The club is one of the local good causes that will benefit from the weekly draws. Tickets for the lottery are now available to buy and the first weekly draw takes place on 29 Jul, with a top prize of £25,000 on offer and a two-night stay in The Royal Seven Stars Hotel in Totnes as an additional bonus prize for this first draw. The lottery is a joint West Somerset Council and Taunton Deane Borough Council project to help community initiatives. The Bowling Club started out on its journey to transform its premises four years ago and, after consulting the community, drew up plans to improve its own facilities while also providing a real community hub for educational, recreational, sporting and social activities for all age groups. The club is working in partnership with Somerset Activity and Sports Partnership and local providers and clubs. The successful bid for funding from West Somerset Council will be followed by bids to other funding pots including Sport England, Power to Change and the Big Lottery. Club treasurer, Marilyn Binding, said: “Watchet has no community venue able to accommodate large numbers. Our improved venue will fill this gap and it will provide somewhere for all sectors of the local community to take part in a wide range of activities. “Our proposed project will act as an accessible and inviting focal point for our current population and newcomers moving here to work at Hinkley Point and join in with what is happening locally. Cllr David Westcott, Lead Member for communities with West Somerset Council, said: “This is an ambitious project with a real community focus that will provide Watchet with facilities that many larger towns would envy. Exmoor National Park Authority has just published its annual Rights of Way & Access Report. The National Park Partnership Plan identifies a first-class rights of way network as one of its 12 priorities for action and the new report showcases the wide range of work undertaken to care for extensive public rights of way network and permitted paths between April 2016 and March 2017. Exmoor National Park’s public rights of way network extends to almost 1,000km (footpaths 438km, bridleways 464km and Restricted Byways and Byways Open to All Traffic 64km). The network is one of the special features of Exmoor and offers unrivalled access on foot, horseback or bicycle – a recent visitor survey shows that 70% of visitors enjoy a short walk and 43% a long walk (over 2 hours) as part of their stay on Exmoor. Ceri Rapsey – Access and Rights of Way Support Officer added: “Recent surveys show that 96% of the Exmoor National Park’s public rights of way are open and easy to use, which is our highest score to date.” The surveys are undertaken by volunteers using a nationally agreed criteria. · 16 major path repairs undertaken, many funded through the Headwaters of the Exe project, part of South West Water’s Upstream Thinking programme with funding from South West Water and Exmoor National Park Authority. · Two Moors Way 40th anniversary relaunch resulting in numerous trail improvements, new pocket guide, website and promotional video. 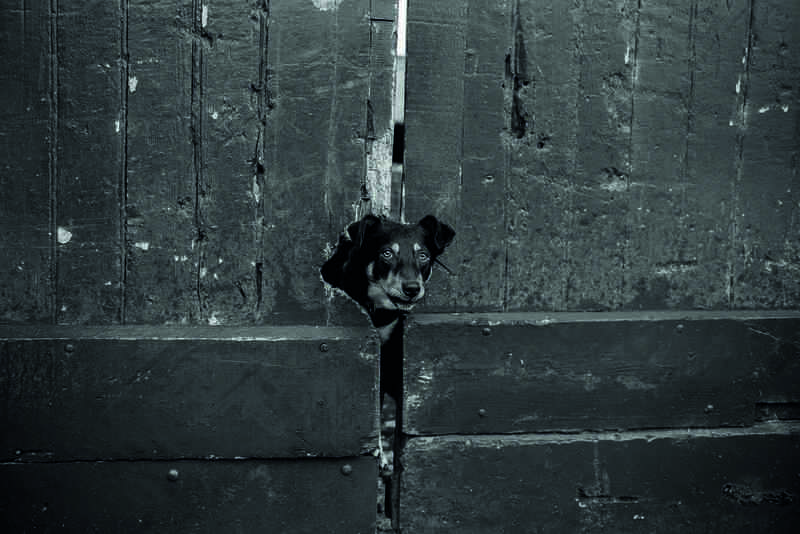 · A dedicated group of volunteers have surveyed 10 parishes and adding up to 518 hours. · Vegetation was cut back on 184km of routes during 2016/17, a figure that has increased year on year since 2012 reflecting the highly priority given to this important maintenance work. Managing water flow is critical to protect path surfaces, particularly with the increase in heavy rain and flash floods, and a total of 1,185 drains were repaired or cleared during the year. When major repairs are carried out or new drains installed, capacity is increased wherever possible to improve the resilience of the paths network. Exmoor’s traditional, wooden rights of way ‘furniture’ (gates, signposts, stiles etc) is one of the best loved features of the National Park – there are approximately 286 bridges, 375 stiles, 1,942 field gates, 2,500 gates, 241 sets of steps and more than 2,700 signposts. THE NAUGHTIEST CREAM TEA IN THE WEST COUNTRY? The cream tea tradition flourished in the West Country following the tourism boom in the 1850s, aided by the opening of railways. Fitting therefore that the Victorian Lynton & Lynmouth Cliff Railway should be at the centre of a cream tea controversy. 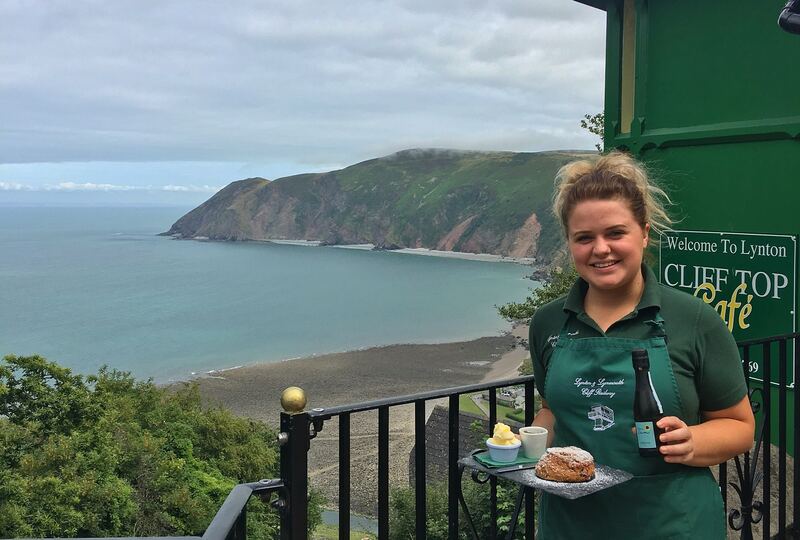 The Cliff Top Café, perched 500ft above Lynmouth, is already famous for its amazing views and home baked cream tea scones almost as high as the cliffs themselves. But cream tea etiquette has been well and truly tested recently, with the launch of the Cliff Railway ‘Naughty Cream Tea’. The Naughty Cream Tea replaces the traditional pot of tea with a Prosecco, a locally Brewed FatBelly Ale or even wine or local cider and provides the perfect accompaniment to that long walk and the stunning views. With huge scones, local clotted cream and spoonfuls of jam, this new twist on the traditional is probably the Naughtiest Cream Tea in the West Country! However, the Lynton & Lynmouth Cliff Railway believe that some traditions must remain; tea is still available and, whilst in Devon, you don’t cut your scones, simply break them apart with a gentle twist, dollop, don’t spread the clotted cream and always, always put the j am on top! Following the success of roastery tours last year, Miles Tea & Coffee has decided to run some more on selected dates through the summer months in the historic Roastery building in Porlock. Miles has over 120 years’ experience in the tea and coffee industry and a preview behind the scenes is a must for any hot beverage lover! Tours will last about an hour including coffee tasting, a free pack of coffee, a talk with Mitch, the Head Roaster, and you will learn about the roasting process and the history of Miles. Just imagine coffee beans flying through pipes above you, the roaster roaring and the aroma of freshly ground coffee. To book your place please email sam.burton@djmiles.co.uk the tours are pre-book only and limited to small groups. Morning tours take place on 27 July, 31 August and 28 September. Join the company for a #TastingTuesday this Summer, find out more online at www.djmiles.co.uk in the news section.